Gaming laptops typically cost well over $1,500. But money should not keep you from playing your favorite games. There are several excellent budget gaming laptop options cash-strapped gamers can consider. Dell Inspiron laptops are known to be great work laptops. Dell has upped the game and has produced a laptop that is also capable of gaming. Now, do not expect the same capability as a $2,000 gaming laptop. You may not be able to play 4k or certain graphics-intensive titles. But for everything else, it’s great. For a reasonable price, you get a 7th-generation Intel Core i5 processor, Nvidia GeForce GTX 1050 Ti graphics card with 2GB of VRAM, 8GB of RAM and 256GB of SSD. All are great specs for playing favorite titles from about 2 years ago. Plus, the battery life is quite superb. This Inspiron is not intended as a gaming laptop, but it is definitely appealing to gamers. It has a quad-core i7 processor and a NVIDIA GeForce GTX 960M 4GB GDDR5 graphics card. Definitely an impressive combination. However, overall RAM is only 8GB, and the laptop has a 1TB HDD. Still, these specs come together for a great gaming experience. The 15.6 inch FHD screen is worth talking about as well. It has backlit Truelife tech, which makes images real vivid. The keyboard is conveniently backlit as well. And the laptop is great for everyday work too, so I’d say this is definitely worth the money. This MSI laptop is definitely reliable. It has a Core i7 processor, a NVIDIA GTX 960M 2G GDDR5 graphics card, 8GB of RAM, 1 TB HDD, and 1920x1080 display with eDP Vivid Color. There are several special features as well. Cooler Boost 4 provides the better cooling capability, and the Steel series keyboard is made for gaming. The machine also has a Nahimic Audio Enhancer, great for getting surround sound without buying external speakers. I’d say this is one of the best gaming laptops under 1000. 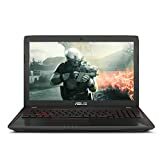 ASUS ZX53VW 15.6" Gaming Laptop, NVIDIA, GTX 960M 4GB, FHD, Intel Core i5-6300HQ, 8GB DDR4, 512GB SSD, Backlit keyboard, Microsoft signature image, Anti-Glare Matte Display. This is a stripped down version of another gaming laptop model that comes with a Core i7. The stripped down version comes with a 6th gen Core i5, 8GB of RAM, NVidia GeForce GTX 960 4GB discrete graphics, and a super-fast 512 SSD. The SSD truly makes this laptop worthwhile. This is great for games like Diablo or Witcher 2. 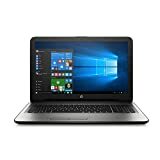 If you are on an extreme budget and would like to buy a computer you can work on as well as play games, this HP will be a good choice. It’s packed with a Core i5, 8GB RAM and a 1TB 5400RPM HDD. There is no fancy graphics card, it has shared graphics. It’s not technically gaming laptop, but the superior RAM and spacious HDD makes this laptop better for gaming than the typical work computer. The graphics card is the most important feature you must look for when buying a gaming laptop. Unlike on desktops, you cannot change the graphics card on a laptop. So, you will have to measure all other specs against the card. Nvidia graphics card are the industry standard right now. 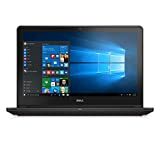 A GeForce GTX 1060 or GTX 1070 is considered really good for a laptop. The easiest way to find out if a graphics card is any good is to check the digits. The higher the number, the better the card will be. An SSD is always better for a gaming laptop than an HDD. SSDs don’t have as much storage as HDDs, but they are faster.Choose at least 8GB of RAM. 16GB is preferred. Choose an Intel Core i5 or an i7 processor. The i7 is the best processor available right now for gaming. Try to get a quad-core processor as they are much more efficient. There are other features you might want to consider as well, such as screen resolution, keyboard, audio. But you can always buy external devices to enhance these features. Therefore, always keep these important features in mind: graphics card, processor, RAM, and hard drive.